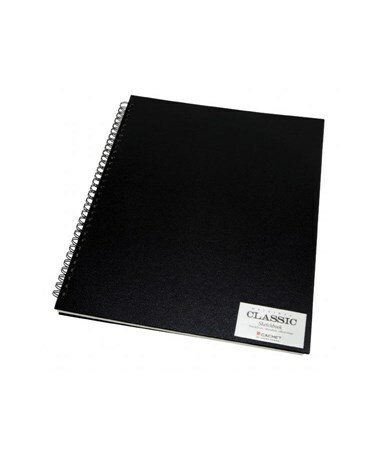 The Cachet Classic Black Wirebound Sketch Book (80-Sheet) is a functional and versatile tool for all students, artists, writers, designers, and other professionals. Ideal for drawing, sketching, writing, and more, it allows back-to-back (360-degree) folding with its double-wire binding. 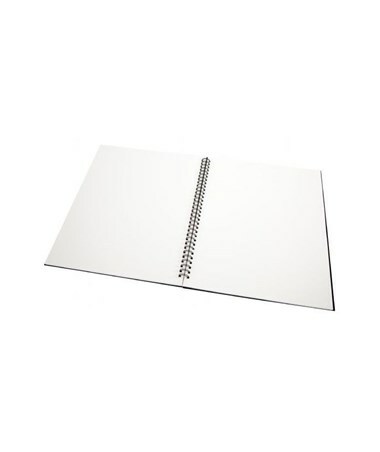 It also ensures that pages lay flat for smooth writing and ease of use. This wire bound sketch book includes 80 pages of high-quality, 70 lb. paper. It is archival quality with its acid-free and pH-neutral sheets. Each sheet works great with ink, pencils, markers, or pastels and prevents bleeding through. With its long-lasting binding, loss of pages is not a problem keeping important notes, drawings, or mementos intact for a long period of time. 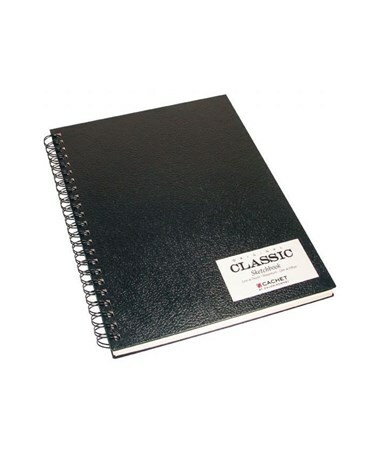 The Cachet Classic Black Wirebound Sketch Book (80-Sheet) features a black, embossed hardcover that provides ultimate protection to its pages with its water-resistance property. It comes in five different sizes to accommodate most drawing and writing needs. 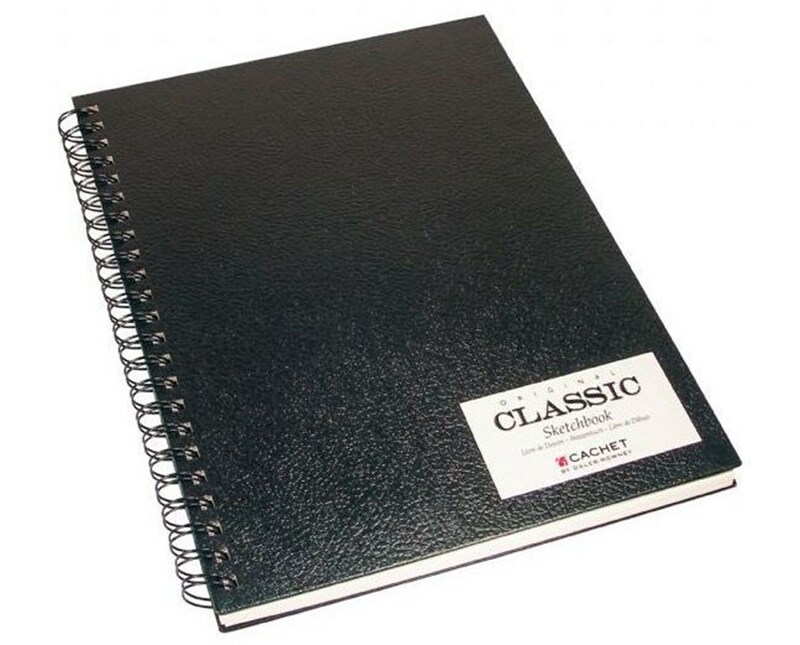 Available sizes are 5"W x 7"L, 7"W x 10"L, 9"W x 12"L, 11"W x 14"L, and 14"W x 17"L.
The Cachet Classic Black Wirebound Sketch Book (80-Sheet) comes in five different sizes to suit various drawing and writing needs. Please select your preference from the menu above. Size: 5"W x 7"L, 7"W x 10"L, 9"W x 12"L, 11"W x 14"L, or 14"W x 17"L.